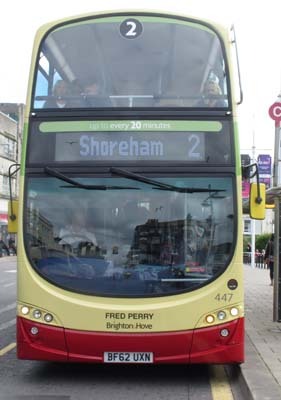 Connections with Brighton and Hove : Fred Perry was one of the best tennis players Britain has ever produced, becoming a dominant figure in the 1930s. After his last Grand Slam victory in 1936, it took 76 years before another British male win - by Andy Murray at the USA Open in September 2012. Born in 1909, Perry came from what he called the wrong side of the tennis tramlines and annoyed the snooty establishment. He also irritated fellow players by drawling “very clevah” when they hit good shots and vaulting over the net on winning a match. But his talent could not be denied. 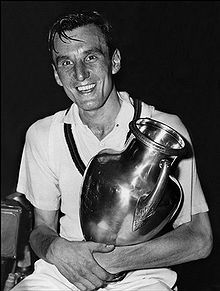 He won Wimbledon three times in a row and had another three victories in New York while also winning the French and Australian contests once each. Perry turned professional in 1936 and won the UK title three more times. 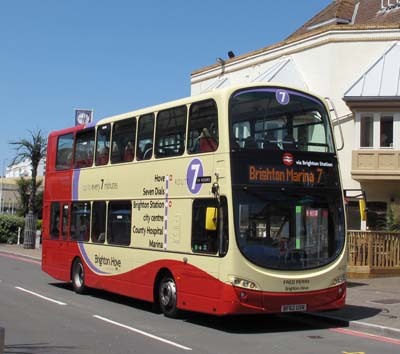 He moved to the USA for a while but came back to Rottingdean. In 1950 he founded the sportswear company that still bears his name and published his autobiography in 1984. He died in 1995 and the funeral service was in Rottingdean. There was a memorial service at St Paul’s in London and gates were named after him at Wimbledon. 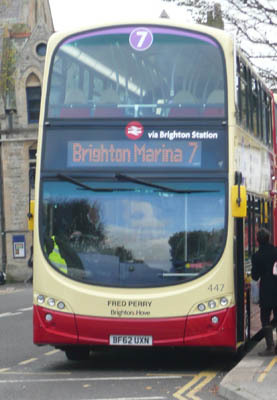 447 Volvo Gemini - carried name since delivery in September 2012 on Route 7. 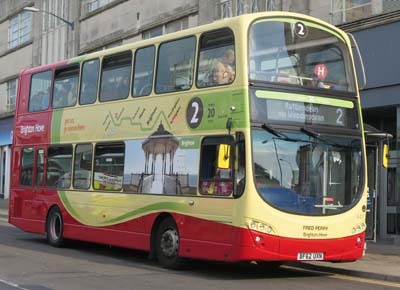 Repainted into Route 2 livery July 2017.